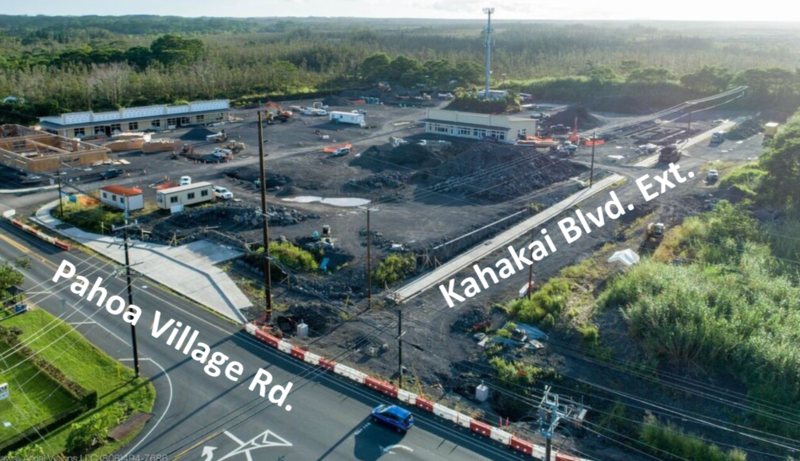 Construction at the Puna Kai Shopping Center located in Pāhoa is in full swing. Many people who drive by the project daily are probably trying to figure out who’s going here and what’s going there. 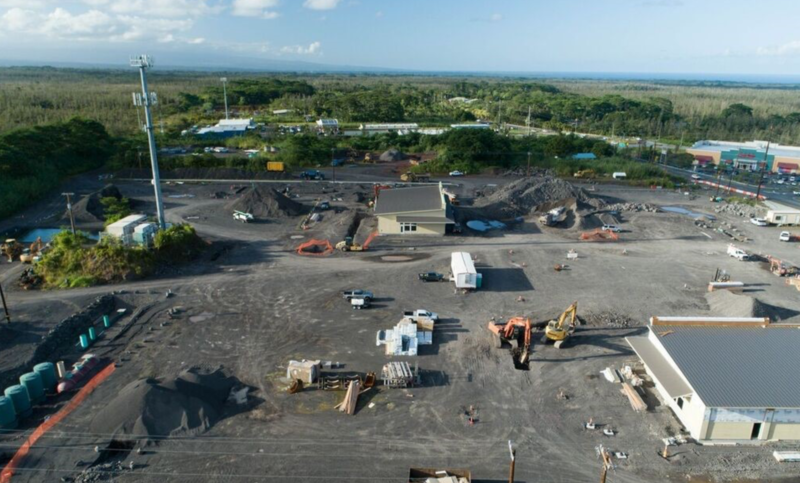 Thanks to these drone shots taken by Hawai‘i Aerial Visions LLC, you now have a bird’s eye view of the project. Building P: Foundation excavation & utility line installation is ongoing. The two squares excavated outside the foundation will be a covered outdoor lanai. 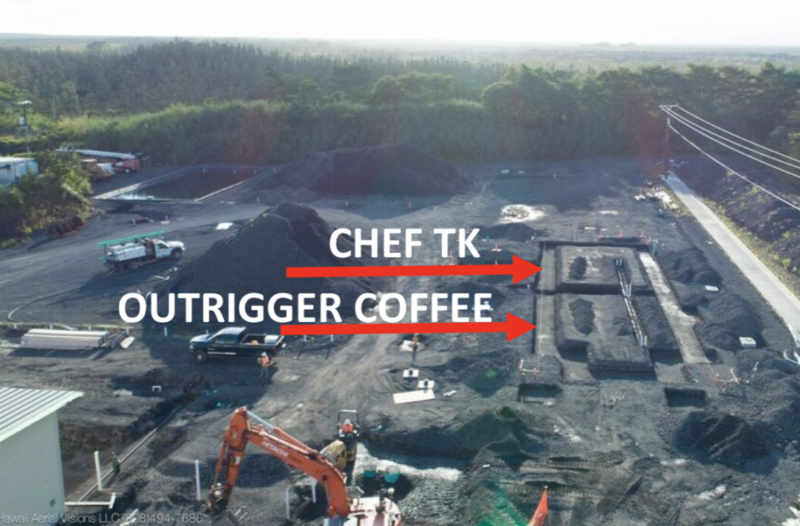 A drive-thru will service Outrigger Coffee Co.
Building I, J, and K (Tenants L-R): Stratos New York Pizzeria with outdoor dining, Hilo Bay Realty, Maui Tacos, Supercuts and a Popeyes with a drive-thru. 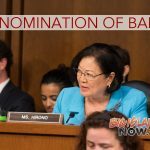 Building G: McDonald’s will be located on the corner of Pāhoa Village Road and Kahakai Boulevard. Extension. 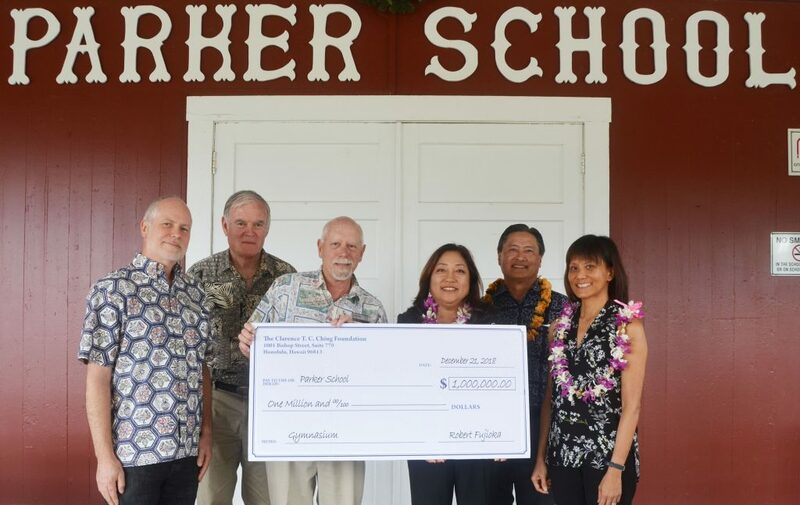 A large bus turnout and concrete pad for a bus shelter is located on Pāhoa Village Roadd. 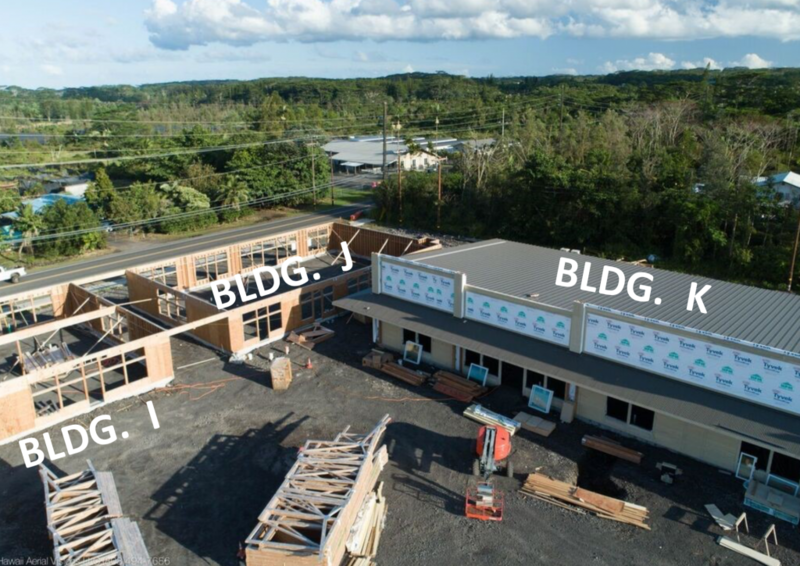 Building K: Framing is complete with roofing, siding and trim installation. This will be the future home of Fitness Forever a 6,172 square foot gym (right), and a 5,000 square foot Goodwill store (left). Both buildings front Pāhoa Village Road Exterior walls are installed and braced. A covered breezeway will separate the two buildings. 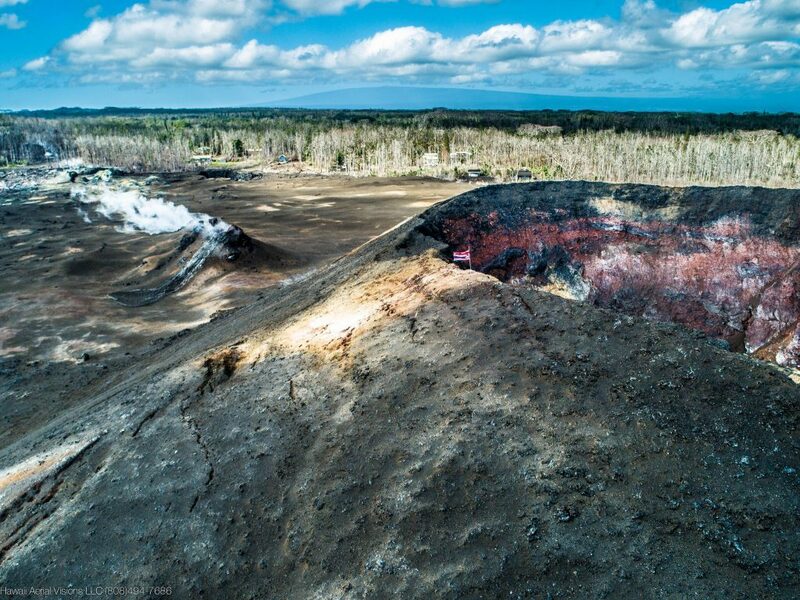 No completion date has been set yet, Big Island Now will update the public when more information has been released.